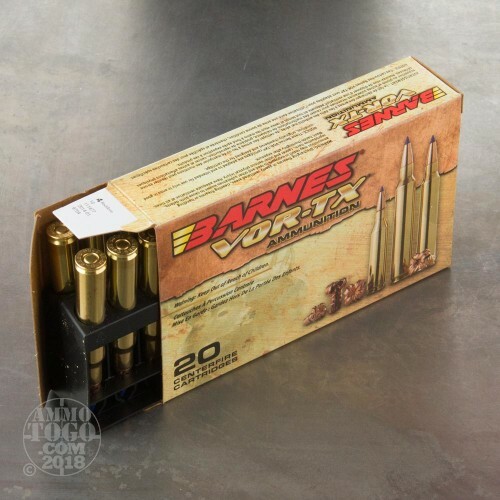 This 30-06 cartridge by Barnes features the Utah-based manufacturer’s 150 grain Tipped TSX boat tail projectile. 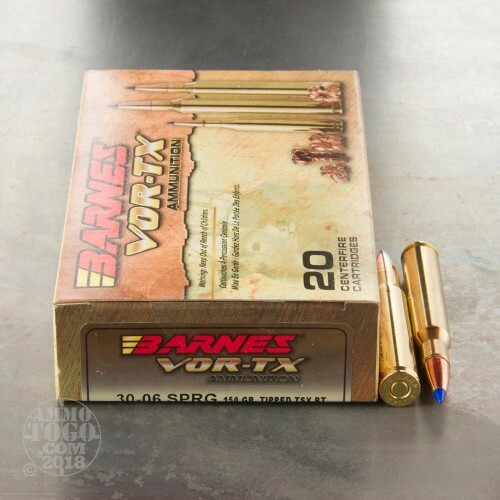 Like its predecessor, this bullet is made completely out of copper, so it won’t invite unwelcome topics of conversation from Californian game wardens. 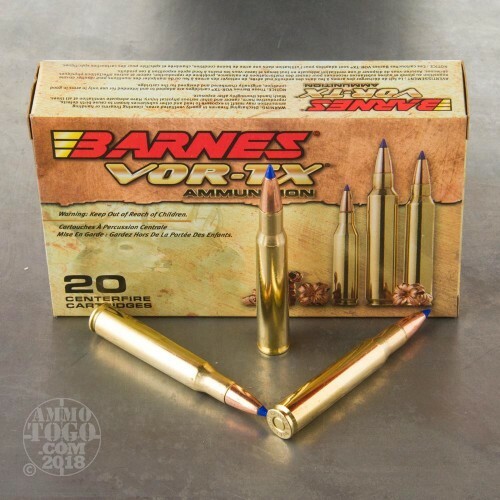 This bullet is exceptionally accurate thanks to the multiple pressure relieving grooves in its shank, its tapered base, and its polymer tip which bolsters its long range ballistics. Upon impact, the tip on this round’s bullet will smash downward to initiate expansion and produce four sharp cutting petals, doubling its diameter as it turns the tissues around it into confetti. Because it possesses no jacket and core which are capable of separation, this monolithic bullet retains no less than 99 percent of its weight during penetration in order to create a wide and debilitating wound channel. The copper bullet won’t foul your rifle’s bore with lead, either, making this round an excellent choice for hunting wherever you live.